Growing up on the family’s 150-year-old ranch, Mollie learned every ranching task from working on windmills to branding cattle. 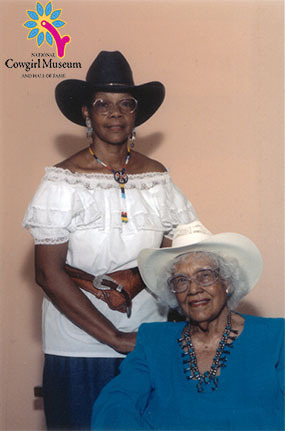 After graduating from Fisk University, Mollie returned to the ranch to preserve her birthright. During the years of segregation, Mollie opened the ranch as a haven for black children who were barred from the city parks. A strong believer in education, she offered many students the means to have college educations.